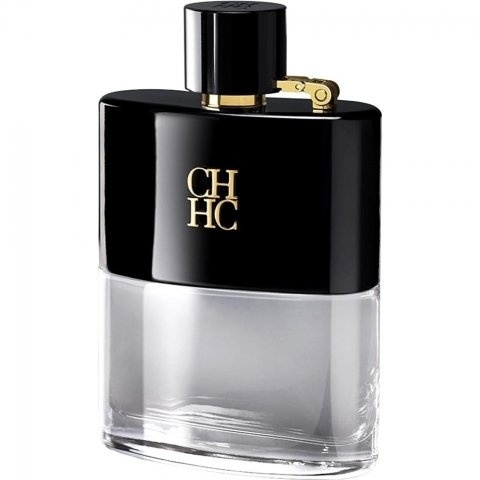 CH Men Privé is a popular perfume by Carolina Herrera for men and was released in 2015. The scent is spicy-sweet. It is being marketed by Puig. The face of the advertising campaign is model Justice Joslin, photographed by Mario Testino. A fragrance that single handedly made me an enthusiast. English pub after 10:30 p.m. Smells like fun, dirty and uncompromising at a high level. This fragrance activates the synapses before it reaches the taste nerves, it is almost more an association than a decorative olfactory accessory, with every cloud sloshing opulently into your face leaving leather, snaps and, elegantly embedding the whole fine spice notes (cardamom), a clear statement: in front of you stands a man who does what he wants, knows who he is, who is free of all bourgeoisness and who takes sexuality for granted. From a woman's perspective and in the right environment (bar, disco, pub, dancefloor) a quite attractive picture. In addition to the mentioned scents there is a harsh male note, I don't want to say sweat, but some kind of physical smell. The durability is unfortunately not so solid, I recommend to spray several times on the same place, this slows down the evaporation in my experience clearly. No pink shirt, no suit, leather jacket or black T-shirt is trendy here. Hm, when I bought this fragrance I admittedly was influenced by the exorbitant rating here. But if you write that the performance of CH Men Privé is bad, I'd like to smell it with a perfume that he thinks is "performant"! ;-) In my opinion (sorry) only eau the perfume goes over it, because I can still perceive this fragrance even after showering. As far as performance this one makes me nuts. One day I can get 7-8h from it and the next day it’s gone after 3-4h. All in the same season and temperature. Weird! Nice surprise, compared to other recent releases. Although being an another contemporary clone the notes are very nicely executed, resembling Armani Code. Grapefruit, classic lavender and pleasant base consisted of suede, tonka bean and sugar cane. It's not a Prive line quality, yet very good choice for the first "more mature" fragrance. Great suggestion to the younger crowd for fall all around cologne. Good choice in very nice bottle. So this is a fragrance which I can see why people like or dislike. For me it's a strong like, because I enjoy the boozy and sweet aspects of it (the whiskey note). I also enjoy the leather note and the citrus and light woods and herbs. So many aspects to this which I enjoy. This is my first fragrance from the house of Carolina Herrera, but I love it. It has a sophisticated, sweet quality to it which is modern and playful. Although it has whiskey and leather in the notes, it doesn't strike me as mature or old-smelling in any way. In fact, this is a modern and youthful fragrance which has a rich, sophisticated vibe to it. I get a sugary, boozy whiskey vibe which I like very much. It's not overpowering, but it is present. One thing I do like is the way this sits on skin. It blends beautifully and it makes a good impression. Overall, a good designer fragrance which is a little bit different to what else is on the market now. Not ground breaking, but very enjoyable and certainly not a bad choice. I recommend it to try. Good stuff! I bought it to replace CHMen and YSL La Nuit due to performance issues.